Superseding everything else is mass adoption and that is what Litecoin figure heads and Foundation is pushing for. Currently price isn’t center stage, coin demand is and for obvious reasons: the later precedes value. 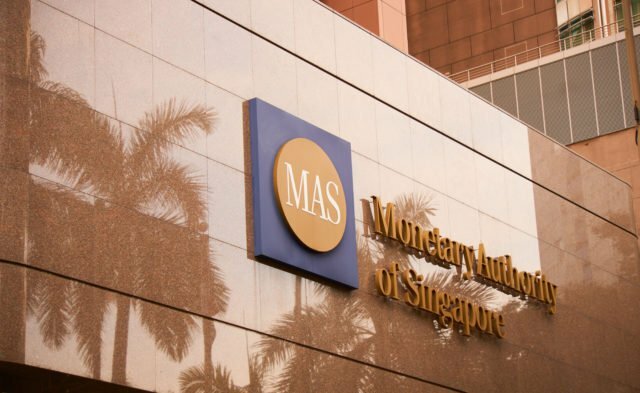 While we might see short term recoveries edging prices towards $70, our break out levels, news of adoption break through or announcement of strategic partnerships aside from CoinBase efforts might ignite a wave of loss reversals with first targets at $110, the upper limit of our former trade range. Whether Litecoin is undervalued or over-valued shouldn’t be a headline topic in this bear market. In fact, when analyst focus on price only, then the real user case application of blockchain losses meaning. From history, blockchain and cryptocurrencies came to existence because of the need of control and excision of manipulation. It was along this vein that Charlie Lee emphasized on the need of coin adoption during this steep bear market while Brad Garlinghouse asked users to look more into cryptocurrency, make it mainstream instead of holding them for speculation purposes. Crypto and Litecoin enthusiast should draw examples from Dash at Venezuela and Zimbabwe. There in the face of a failing economy and value wiping hyperinflation, the coin is a reliable store of value and a medium of exchange. Perhaps the First Annual Litecoin Summit will be a platform spurring Litecoin adoption on a global scale. The platform is already building the necessary infrastructure and by partnering with market leaders in the retail world as Wirex–who by the way have the first FCA e-money license-and a couple of other point of sale payment providers, enthusiasts can easily settle with Litecoin besides enjoying speed and security only native to blockchain. In this time frame, week ending Aug 12 bear engulfing candlestick shall anchor our trade position and for good reasons. Notice that not only are there high volumes accompanying this high average trading range candlestick but the fact that it is a break out bar means it carries some weight damping buys. Encouragingly though, the last two weeks candlesticks had these long lower wicks signaling buy pressure and what we need despite this week’s stable prices are higher highs thrusting above $70, our last sell trigger line and immediate support. 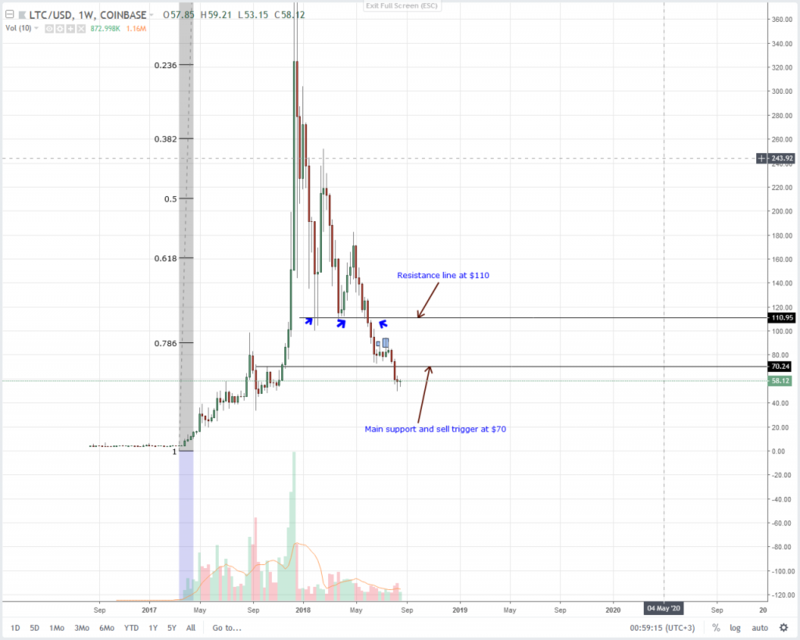 Should that happen next week, then chances are we might see further recoveries with first targets at $100 as laid out in our previous Litecoin (LTC) technical analysis. Like most coins under review, Litecoin bulls seems to be building momentum. Though LTC prices are technically in a deep bear trend, we might see higher highs going forward. It’s because of this preview mostly advised by recent rejection of lower lows that we recommend risk off traders to take longs at spot prices with stops at $50 and first targets at $70. $70 as laid out before is our immediate resistance line and a break out level. This is where sellers are expected to cap gains and probably trigger the next wave of sell pressure. Expectedly, prices might dive back towards $30 or Q4 2017 lows. 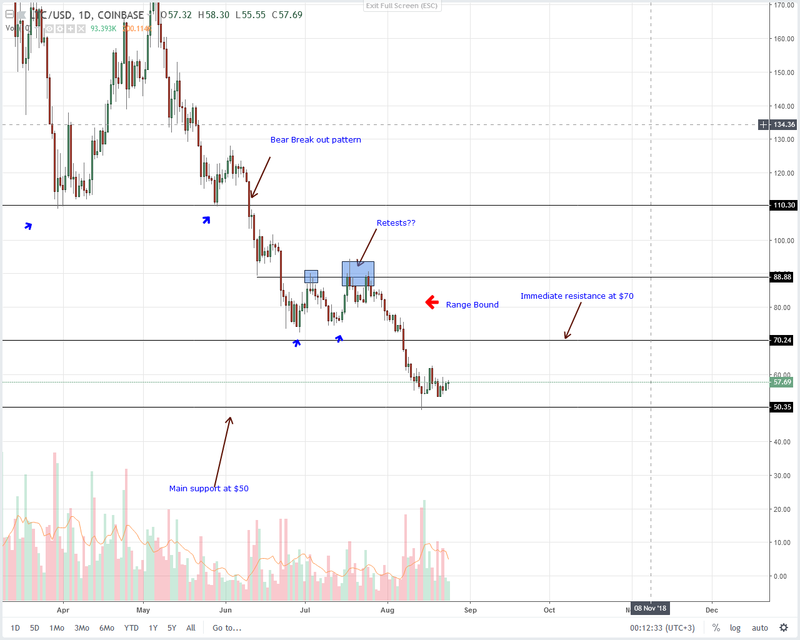 The post Litecoin (LTC) Technical Analysis: Litecoin Mass Adoption a Priority, Not Price appeared first on NewsBTC.